For almost a decade, UCLA political science professor Lynn Vavreck has been telling us the message matters when it comes to American politics, specifically presidential campaigns. “Every election will create narratives about how the winner won,” said Vavreck, co-author of a recently released bestseller about the 2016 presidential election that uses data-driven analysis to dispel popular misconceptions about why Donald Trump defeated Hillary Clinton. “But it’s common that those narratives don’t quite hold up under scrutiny when we look at polling data and electorate surveys and other data, and that’s particularly true of what we found when we looked closely at 2016,” said Vavreck, who was named the Marvin Hoffenberg Professor of American Politics and Public Policy in January. 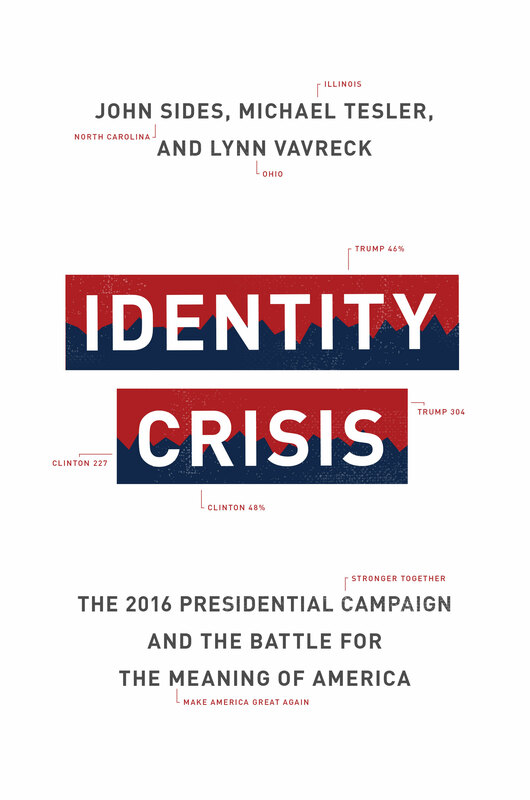 In “Identity Crisis: The 2016 Presidential Campaign and the Battle for the Meaning of America,”Vavreck and co-authors John Sides, professor of political science at George Washington University, and Michael Tesler, associate professor of political science at UC Irvine, methodically outline the primary battles that led to the eventual matchup between Trump and Clinton. The authors dissect media coverage, national polling, data about voters’ attitudes, the effects of Russian interference, the impact of social media on misinformation and the candidates’ messaging and overarching campaign strategies. As the nation recalibrates after a contentious midterm election season punctuated by polarized rhetoric and high voter turnout, “Identity Crisis” takes a microscope to what mattered most in 2016. For the most recent election, which was always going to be a toss-up, as “Identity Crisis” painstakingly documents, the message that emerged was all about identity. “In 2016, the notion of identity, and how people think about their group compared to other groups was a prism that refracted voters’ ideas about the economy, which created a phenomenon we call ‘racialized economics,” Vavreck said. Trump was particularly good at identifying and stoking the flames of in-group/out-group insecurities and flash points, with fiery rhetoric around complicated issues like immigration, criminal justice and fears of Islamic terrorism, as well as economic anxiety. Shortly after the election, a prevailing theme of voter rage and frustration began to emerge to explain Trump’s win. But, according to Vavreck and her co-authors and the data they examined, voters weren’t markedly angrier in 2016 than they were in 2012 or even 2008. And, voters’ attitudes about race weren’t much different between those election time frames, either. What was different in 2016 was the message, the players, and the fact that “outsider” Trump was willing to tap into racial fears and attitudes in ways that previous Republican nominees John McCain and Mitt Romney, both of whom campaigned against a black candidate, declined to do, Vavreck said. “I think Trump is not held to the same standards as ‘professional’ politicians because of who he is — so in some way, he was able to do what a typical politician could not do — or certainly would not do,” she said. This identity messaging strategy was again in play during the recent midterms when the president frequently held up a caravan of asylum seekers from Central America as a national threat while speaking in support of Republican candidates. Meanwhile, although almost every week there’s a news story about Facebook’s effects on elections and democracies, Vavreck is doubtful about how much impact the social networking platform truly wields, mostly because of the nature of the interaction on the site. People mostly follow and see posts from people who already think very similarly to them. And the oft-discussed Russian ads were seen by a relatively small number of people, and mostly within those echo chambers, Vavreck said. “I’m pretty skeptical of the social media angle because of the self-selection into conversations on those media,” she said. Vavreck has emerged as a respected voice in the world of presidential politics. 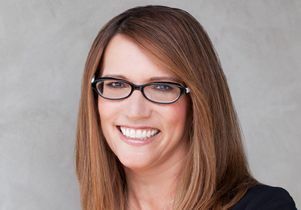 She contributes regularly to the New York Times data-driven politics and economics blog “The Upshot,” and is a coveted local, national and international commentator on American presidential campaigns.